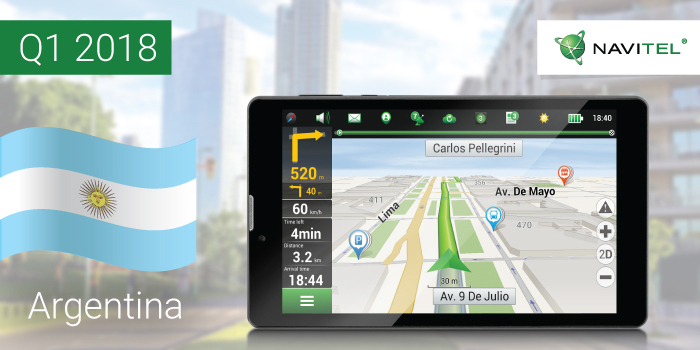 The navigation map of Argentina for Navitel Navigator is now available for purchase. The map of Argentina includes 828 086 km of the road graph, 7 764 cities and settlements, 119 634 POI. The map includes the residential and industrial infrastructure with address search and a detailed road network with traffic direction, interchanges, roundabouts and other relevant information. A license for the map of Argentina can be purchased in the «Apps» section of the official NAVITEL® website. 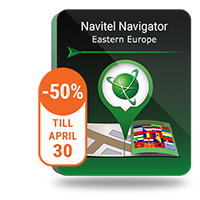 The users of Navitel Navigator on iPhone/iPad or Android/Windows Phone-based devices can purchase a license key via the program's main menu: Menu > My Navitel > Buy maps. Important! Please note that the map of Argentina of the Q1 2018 release only works with Navitel Navigator 9.7.2493 or higher.